It’s not been the best week for photos, but it’s been a good week for showering – our new bathroom was finally ready to use! I couldn’t resist adding a couple of photos of it. Day 61 – Sunday 2nd March – as ever, the day was dominated by rugby. 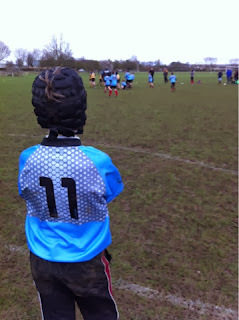 This is my younger son when he was susbstitute during their game. Day 62 – Monday 3rd March – here’s our lovely bath taps from the fabulous new bathroom! 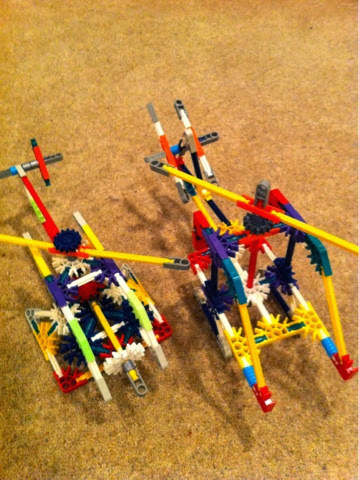 Day 63 – Monday 4th March – my younger son made KNex models with his friend in preparation for their competition against other schools. Day 64 – Wednesday 5th March – a really beautiful sunrise. Day 65 – Thursday 6th March – more from our new bathroom – the shower head! Day 66 – Friday 7th March – a sunny day that started off rainy. 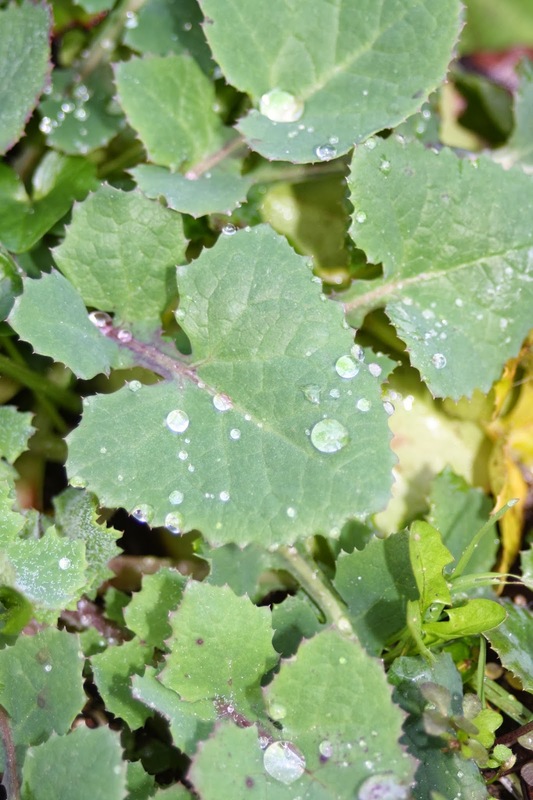 I caught these raindrops in my garden. Day 67 – Saturday 8th March – things are really starting to grow in our garden. I have no idea what these pink flowers are, but they’re very pretty and there’s lots of them! Linking up with project 365 with TheBoyandMe Pop over to see what others have been photographing this week. That shower head is huge! How wonderful to have an operational bathroom at last! Your shower looks fantastic. It makes me want to go get a brand new shower too!! Good luck to your boy, those models look so good! beautiful flowers outside and wonderful taps inside! The bathroom looks like it is coming along well! Your new bathroom looks amazing. I love that shower! Good luck to your son with his competition! Great you got your bathroom looks all nice and shiny new. 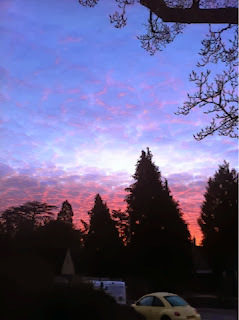 That is a gorgeous sunrise and lovely pink flowers. Thanks very much, everyone. It’s so good to have a bathroom again – especially one that works well! Glad you all like my son’s models – he’s got the competition in a couple of weeks. I bet he’d get on well with your son, Suzanne! The bathroom is amazing and I bet it is lovely to have a civilised shower to use. that sunrise is really lovely. The Knex is great, my lot were never really into that, it is all about the Lego in this house. It is about a million times better with the new bathroom, Nikki! We’ve always been about Lego too. My son only got the KNex when he won the challenge at school a couple of months back.